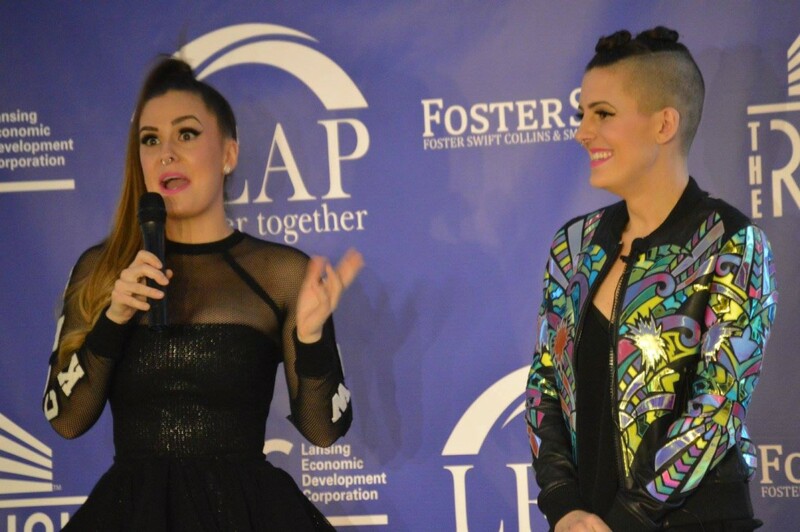 On Tuesday, February 16, 2016, The Runway, Lansing’s fashion incubator, kicked off its 2016 Fashion 411 speaker series with the highly energetic duo, Claire and Shawn Buitencorp of Shock & Awww. Foster Swift was proud to be a sponsor of the event, but I did not prompt them to advise attendees to take care of legal matters. I was, of course, pleased to hear that advice coming from this successful duo, along with their advice to know when to rely on others to advance your business and the importance of research. Like Shawn and Claire, the designers that I know who are successful or clearly on the track to being successful are always searching for information. Even if you are the beneficiary of an excellent, formal education design instruction, no one will hold your hand and tell you what to do after you graduate. Anyone who wants to be an entrepreneur needs to continually self-educate and research if they want to be successful. I also did a little bit of research, before attending the Shock & Awww presentation. I noticed that when Claire and Shawn originally formed their LLC, they had the assistance of MSU’s College of Law Small Business & Nonprofit Clinic. I raise this not to direct designers to a particular clinic or attorney, but to encourage you to include, in your research, efforts to find affordable services. I mentor designers at The Runway and at DGG’s fashion incubator in Detroit. I offer, and sometimes talk my colleagues into offering, low cost services because we want to see you start your business with a proper foundation. Whether you were inspired by Shawn and Claire or were otherwise motivated to question what you need to do to form a legal entity and get your fledgling design business up and running, here is an easy way to start. Check out our video series, created with the busy start-up entrepreneur in mind. I suggest fashion start-ups begin with two videos: Forming a Business Entity and What is a Trademark? Thanks to my research, I know that Shock & Awww has registered trademarks – both a word mark and their logo. Kudos to Claire and Shawn! If you missed our Make Your Mark Fashion 411 presentation in 2015, and you would like to know more about the importance of a trademark to a fashion designer, just give me a call. Even if you anticipate that you will relocate your design business to New York, LA, or elsewhere, you can benefit from forming your entity and registering your trademark while you are in Michigan, or reach back to Michigan after you have relocated. For many basic but important legal needs, the location of your attorney does not matter, and, much like the cost of housing, the cost of legal assistance increases dramatically when you are looking in a big city.